Ordinarily, Linklay’s Plus Plan costs $204 per year. Normally, this comprehensive Plus Plan includes one domain. Not only that but lifetime access to Linklay’s Plus Plan for two domains is only going to cost you $39! Get started creating shoppable images with Linklay! Linklay’s ability to smooth out the purchase process can increase conversion rates for ecommerce businesses and bloggers alike. 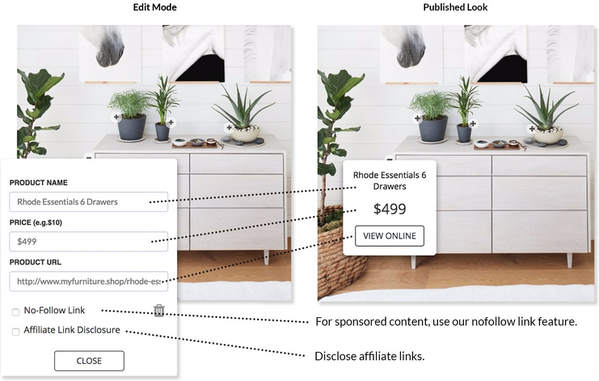 One Linklay user was able to increase affiliate sales by 363% using just one shoppable image! MAG Fans, don't miss out on your chance to convert more customers and improve the online shopping experience. Get lifetime access to Linklay’s Plus Plan for only $39!